Studying in Russia gives you the opportunity to experience our unique Russian culture, to enjoy Russian hospitality, and be charmed by Russian nature and, of course, get an education based on high modern standards and strong academic traditions. This site helps you to retrieve useful information on the Russian Higher Education System and Institutions and to find a vast variety of Study Programmes to meet your needs. Education in Russia is provided predominantly by the state and is regulated by the federal Ministry of Education. Regional authorities regulate education within their jurisdictions within the prevailing framework of federal laws. Before 1990 the course of school training in Soviet Union was 10-years, but at the end of 1990 the 11-year course has been officially entered. Education in state-owned secondary schools in Russia is free; first tertiary (university level) education is free with reservations: a substantial share of students is enrolled for full pay. Male and female students have nearly equal shares in all stages of education, except tertiary education where women lead with 57%. Since the breakup of the Soviet Union, Russia has officially been known as the Russian Federation. Within its borders, which stretch from Poland in the West all the way over to within several miles of Japan in the East, Russia is home to an astounding variety of peoples. What is truly amazing, however, is that all these people with all these varying backgrounds have one official language: Russian. 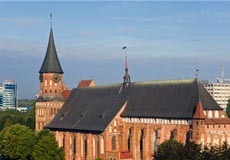 Of course, on a practical level, many languages and dialects are spoken in the various regions throughout the country. Students pursuing studies in Russia can expect to have any number of experiences in Russia. After all, saying that there is but one Russia to get to know is like saying that every part of America is exactly the same, from California to Montana to Rhode Island. But whether you visit the beautiful imperial city of Saint Petersburg, wandering the same charming streets that Tolstoy wrote about and marveling at the baroque architecture, or if you spend your time in Moscow, the capital city of this mighty nation, you are guaranteed at least one common experience: An exciting, eye-opening time participating in an interplay of the past and the present that is unique in the modern world. Students typically gravitate toward the two biggest, and aforementioned, cities of Moscow and Saint Petersburg because of the fascinating history and concentration of educational institutions. Top-notch universities in Russia including the Moscow State University and the Saint-Petersburg State University, though there are innumerable others from which to choose. Education system in Russia is one of the best developed in the world. With more than 1300 higher educational institutes, Russia has become one of the most sought after destinations for studying medicine, space research, mathematics, science and technology and other such subjects. The top universities in Russia can compete not only with the best universities of Europe but also with the best universities of the world. The quality of education in these top universities in Russia has therefore been able to attract students from various parts of the globe. Thus by inculcating a sense of competition and raising the standard of education, the best universities in Russia is playing a very important role in making Russia a very attractive option for pursuing higher education. If you are thinking about doing an exchange with one of the Russian universities (also known as "visiting scholars" or "stazhirovka" in Russian), you will need to submit your data to the university and the "foreign department" of the university will take care of all the formalities. They will submit all your data to the immigration officials and have your student invitation ready in about 2 to 6 weeks (may take longer at MGU - Moscow State University). After that, the "foreign department" of the university where you will be studying will either send you the invitation by post, by fax, or send the invitation by telex directly to the consulate where you will apply for your visa and you'll just need to know the telex number when you apply. Usually, the student visa doesn't have a limited validity, it is extended all the time, depending on how long you study. Students have to afford their stay costs, which may vary according to the area and the nature of 'comfortable stay' they opt-for. 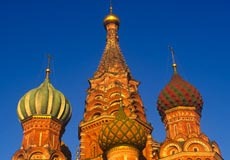 Expenses for study in russia may also include fees for Student Visa, passport, medical exam and student identity card. There are structured private services that have experienced and knowledgeable team to help student aspirants to assist them in getting the details on the financial aids and related information. Students may contact such service providers. Students can also get details of all possible financial aid information through researching on the Internet. Apart from the financial aids, students can earn money by doing a part-time job. 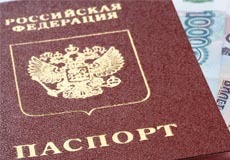 Students within russia can work up to 20 hours per week on a student visa. However, employment should not be relied upon to finance any study abroad program. As a rule, students carry out real scientific and engineering investigations with the use of modern laboratory equipment, prepare scientific papers for publication and participate in national and international scientific conferences. All these are fulfilled under the guidance and supervision of leading university scientists. Tomsk Politechnic University and other Universities and colleges in Russia offers international students a wide range of Ph. D. programs. The training of well-qualified specialists for teaching and research lasts for 3 to 4 years and ends in the public defense of a Ph.D. thesis. If you are studying for a Ph.D. – Doctoral Studies in Russia as a full-time postgraduate you can expect to finish your research within 3 years. If you take university Master's Degree course you will have an opportunity to continue your research work and to earn Ph.D. after 2 years. The period of part-time or distant doctoral training is about 4 years. The duration could be altered. The Higher Educational System in Russia has its own remarkable distinction in the world stage. The Institutes / Universities offering higher education in Russia has a total enrollment of more than two million students. The staff of the various institutions include more than 16,250 doctors of science and about 8,70,000 candidates of science who, apart from lecturing, are active in the development of new scientific trends and advanced technology. The standard of Higher Education in Russia is considered to be most advanced and sophisticated in the world as every educational institution is well equipped and their teaching methods are well regulated streamlined and carves a path for an extensive development of student in their specialties. The students teacher ratio is approximately 7:1. The system of imparting higher education in Russia is well formulated and advanced in par with western countries. The evaluation of the performance of students is designed in such a way that the progresses of the latter in mastering the subjects included in the curricula are monitored closely and objectively. The number of tests and examination to be taken during every academic year is strictly formulated by the head of the institutions. Student performance on test is evaluated as "passed" or "failed" and on examinations as "excellent", "good" "satisfactory" or "unsatisfactory". Students who accumulate a number of arrears in their new academic year would be dismissed from their higher educational institutions. The final state examinations are also very important part of the higher educational assessment process in Russia. These methodologies constitute a comprehensive evaluation system by which the knowledge and the skills of specialists are brightened and the qualification obtained becomes invaluable and precious. In all the Russian Institutions, academic year starts from September. There are two semesters in a academic year, September to January and February to June. First semester examinations are held usually in January followed by second semester in June. Students enjoy two types of vacations in their curriculum. It is winter vacation from 15th January to 7th February and summer vacation from 1st July to 31st August. Tomsk Politechnic University and other Universities and colleges in Russia offers international students a wide range of bachelor degree programs in Russian and in English languages. The first two-year study level includes modules in natural sciences, mathematics, socio-economics, humanities and a few speciality oriented modules. The study modules of the second level (the next two years of study) include advanced profession-oriented modules, subjects in natural sciences, electives from special socio-economics modules and training in industrial and other companies. A Bachelor's degree holder could be employed as a middle-rank engineer/specialist. 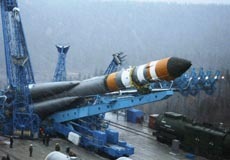 The holder can continue his/her studies in Russia to earn the Engineer's/Specialist's (1 year) or Master's Degree (2 years). In addition to the above, all students are required to submit the following documents, along with the original passport, to A J Trust Educational consultancy: Original 2nd PUC / 12th Std / HSC Marks Card. * Medical Fitness Certificate. * HIV Free Certificate. 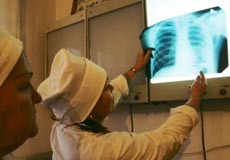 In Russia there are 48 Medical Colleges. All the Universities in Russia to which students are admitted by us are Government run universities and students graduating from these universities will be eligible for registration with the Medical Council of India. All these Universities are listed in the World Directory of Medical Schools (WDMS) Published by the World Health Organisation (WHO), which entitles the students to appear for the Screening test conducted by the National Board of Examinations on behalf of the MCI. The Russian degrees have got global recognition and have topped WHO and UNESCO rankings. The Russian Federation has some of the finest medical colleges in the World. Out of the top I 00 colleges in World Ranking, about 30 positions are occupied by the Universities providing Medicine in Russia. The World Health Organisation (WHO) and the UNESCO has rated, The Moscow Medical Academy, The Russian State Medical University and the St. Petersburg State Medical University in II, III & X positions in the world respectively. The Indian students seeking admission into medical courses will be admitted only in those institutions listed in the WDMS and similarly engineering students will be admitted in those institutions whose degrees are recognized by the Association of Indian Universities. Russia has a good deal of experience for co-operation with the developing countries in the field of higher education. For instance, more than half of the foreign students attending Universities for higher education in the field of Engineering/ Medicine in Russia are from developing countries in Asia and Africa and from Latin America. Training programmes for foreign specialists/technicians in Engineering institutes/ Medicine in Russia is done with respect to their future professional activity in their own motherland. 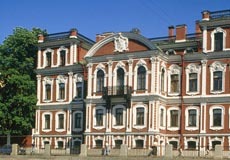 The Ministry of Health and the Medical Industry of the Russian Federation is the supreme authority functioning under the Russian Government in charge of public health and medical industry as a whole throughout the Russian Federation, All the Medical Institutions of the Russian Federation come under its jurisdiction, it controls and supervises as a regulatory body. The Degrees, Diplomas and other Certificate/ Specialization Courses conducted by various Medical Institutions of Studies at the Russian Federation shall finally have the approval of the said Ministry. In the year 1994 by an agreement the Ministry of Health of the Russian Federation has appointed Study Abroad Educational Consultants (P) Limited. As Its Official Authorized Representative for selection of Indian students for admission to various Medical Institutions of Studies at the Russian Federation. Therefore, on returning to their motherland, the technocrats have absolutely no trouble in adjusting to the prevalent working conditions in their own country. The tuition fee in Russian institutions is reasonable in contrast to the western countries. Note: These Universities are recognized by Medical Council of India. Students graduating from these Universities are eligible to appear in the Screening test conducted by National Board of Examination on behalf of Medical Council of India.